When you meet someone new, are you one of those people who immediately shares personal and intimate details of your life? Or are you someone who holds back such information and shares only the deeply private things about yourself with a select few? This sharing of personal details about your life—your feelings, thoughts, memories, and other such things—is referred to as self-disclosure. If you tend to share a lot right away, then you likely have a high level of self-disclosure. If you are more reserved about such things, then you have lower levels of self-disclosure. But this self-disclosure entails more than how much you are willing to tell others about yourself; it is also a crucial building block of intimacy and absolutely vital to a wide variety of social relationships. After all, how far would a romance go if you were not willing to share your thoughts and experiences with your partner? Building a successful relationship involves a mutual give-and-take between partners. Self-disclosure may be more limited in the early stages of a new relationship, but part of the reason people grow closer and more deeply involved is that they become progressively more open to sharing with their partner. In order to build a deep and trusting relationship, some level of self-disclosure is necessary and the more intimate the relationship, the deeper this disclosure tends to be. 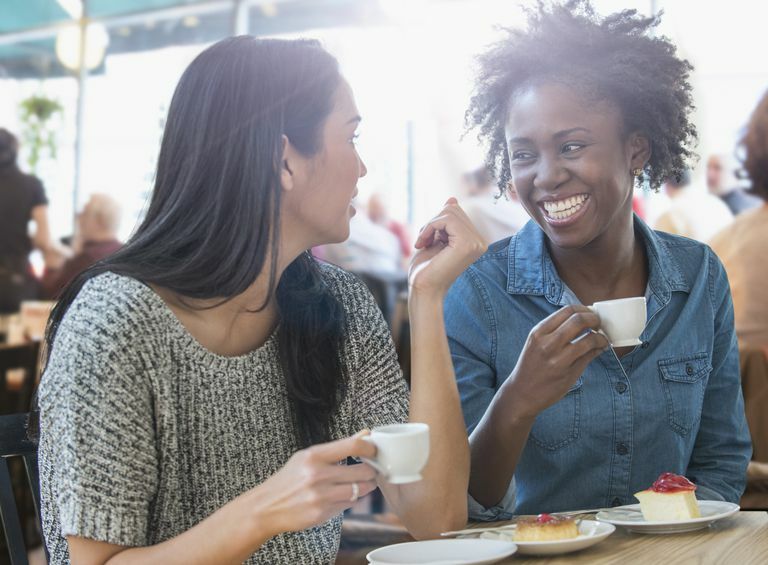 Self-disclosure can sometimes go well—it can lead to closer relationships and a better-shared understanding with the people you come into contact with each day. But sometimes these personal revelations don't go quite as planned. Have you ever said a bit too much during a job interview? Or posted something a little too personal on Facebook? Inappropriate or poorly timed self-disclosure can sometimes lead to embarrassment and can even damage relationships. Successful self-disclosure hinges on a variety of factors, including the type of relationship people share, the setting in which this information is relayed, and the current level of intimacy shared by those involved. So how do people determine what to disclose about themselves and when? According to social penetration theory, the process of getting to know another person is characterized by a reciprocal sharing of personal information. This back-and-forth self-disclosure influences how a relationship develops, including how quickly the relationship forms and how close the relationship becomes. At the beginning stages of a relationship, people tend to be more cautious about how much they share with others. Whether you are at the early stages of a friendship, a working partnership, or a romantic affair, you will probably be more reticent about sharing your feelings, hopes, thoughts, dreams, fears, and memories. As the relationship becomes closer, as you begin to share more and more with the other person, your level of self-disclosure will also increase as well. When someone tells you something deeply personal, do you ever feel compelled to share some similar detail from your own life? It is what is known as the norm of reciprocity that often makes us feel pressure to share with other people who have already divulged something about their own lives and feelings to us. If someone tells you how they felt after reading a book, then you might feel a need to reciprocate and articulate how the book made you feel. If someone shares a painful experience from their recent past, then you might also feel a need to relate a similar difficulty that you faced in your own life. Why do we feel a need to reciprocate in such situations? When someone shares something intimate, it creates a sort of imbalance. You suddenly know a great deal about this other person, but they might not know as much about you. In order to even out this perceived inequity, you might choose to share something that will help even out the levels of shared information between you and the other individual. Researchers have found that a number of different factors can have an impact on self-disclosure. Overall personality can play an important role. People who are naturally extroverted and who have an easier time forming relationships with others are more likely to self-disclose more early on in a relationship. People who are naturally introverted or reserved tend to take much longer to get to know other people, which is often influenced by their tendency to hold back on disclosing things about themselves. These individuals typically only self-disclose to people they know well, but their lack of self-disclosure can often make it difficult for other people to get to really know them. Mood is another factor that can influence how much personal information people choose to share with others. Researchers have found that people who are in a good mood are more likely to self-disclose than those in a bad mood. Why? Because being in a good mood leads people to be more optimistic and confident while being in a bad mood makes people feel more restrained and cautious. Lonely people also tend to self-disclose much less than people who are not lonely. This lack of self-disclosure can, unfortunately, make it more difficult for people to get to know those suffering from loneliness, which can thereby exacerbate that individual's feelings of isolation. Researchers have also found that sometimes situations where people are anxious or afraid of something can increase how much they share with others, often as a way to gain support and alleviate these fears. How we compare ourselves to other people can also influence how much we choose to self-disclose. According to the social comparison process, people tend to judge themselves based on how they measure up to other people. If you feel like you compare well with those around you, then you are more likely to disclose your skills, knowledge, abilities, and talents. If you feel like other people are superior to you in these areas, then you will probably be less likely to reveal these aspects of yourself. Researchers have also discovered that concern about self-disclosure is one of the most common reasons why people fail to seek therapy when they are in need of help. Therapy obviously involves a great deal of self-disclosure, and therapy clients often need to share some of the most intimate and distressing details about themselves with their therapist. For those who are uncomfortable with self-disclosure, this can be a daunting task that makes them less likely to seek help when they really need it. Self-disclosure is a remarkably complex communication process that has a powerful impact on how our relationships with others form, progress, and endure. How we share, what we share, and when we share are just a few of the factors that can influence whether our self-disclosure is effective and appropriate. Palmer, A. (2003). Self-disclosure a leading factor in not seeking therapy. Monitor on Psychology, 34(8), 16.